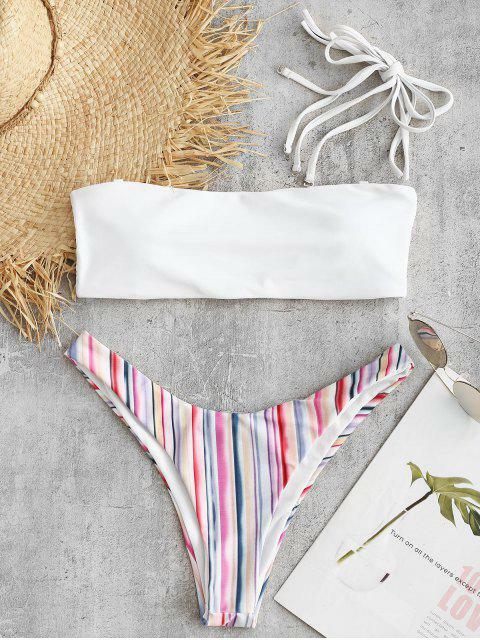 [36% OFF] 2019 High Leg Colorful Striped Bikini Set In MULTI | ZAFUL ..
just for reference i’m 5’5, 115lbs, 32b, size 0 and i ordered a small. it fits very nicely, the material of the bottoms isn’t as soft as most of the other ones i ordered but sill nice. The bikini swimsuit will perfectly flatter your curves at the beach or pool with the colorful rainbow briefs, which are designed with high-cut legs to elongate the figure. Matched solid top has dismountable and adjustable cami shoulder straps design that you can wear with bandeau collar or cami collar as you want.